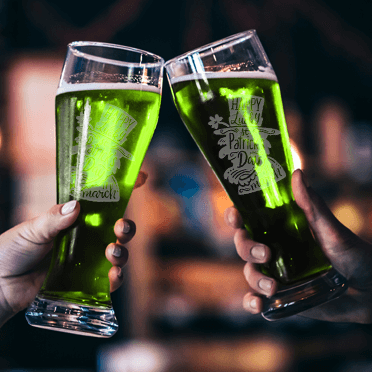 Have your started planning your epic Saint Patrick’s Day party yet? 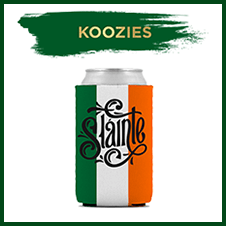 Get excited about Irish culture and all things green with personalized St. Patty’s Day gifts from 904 Custom. 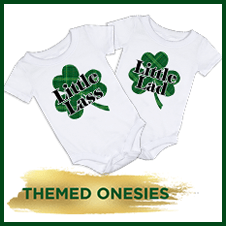 From silly gag gifts to cherished treasures, we make affordable and unique gifts for everyone’s favorite Irish holiday. 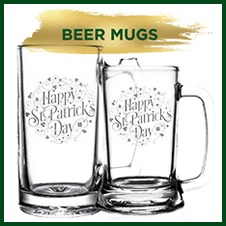 As you plan your corned beef and cabbage feast, pick up a set of festive beer mugs for the table. You have to have something to hold your green beer! Design your own shot glasses, flasks, koozies, and tumblers here at 904 Custom. We can make your party supplies with whatever shamrock design, nickname, or hilarious Irish phrase you choose. 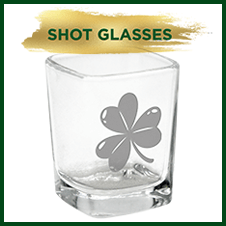 Our custom Saint Patrick’s Day gifts are perfect for creating heartfelt memories. This Saint Patrick’s Day everyone gets to celebrate. Even the babies and pets! Check out our one-of-a-kind baby bibs and adorable pet scarves. 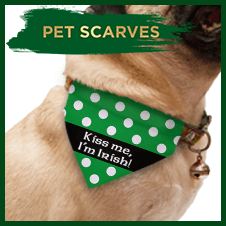 Put Finn or Mittens in a personalized polka dot scarf. Not feeling like wearing green from head to toe? Avoid getting pinched with a green "Kiss Me" button! 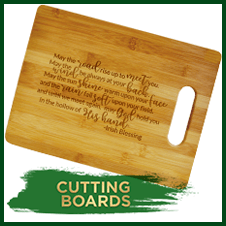 Display an Irish Blessing in your home with an engraved cutting board. 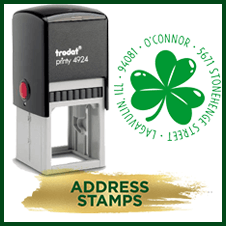 Show off your heritage with a themed address stamp. 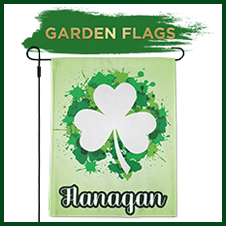 Don't forget to share your enthusiasm with your neighbors by putting out a Shamrock garden flag for all to see. Pick out your good luck charm when you shop our entire collection of St. Patty’s day gifts.